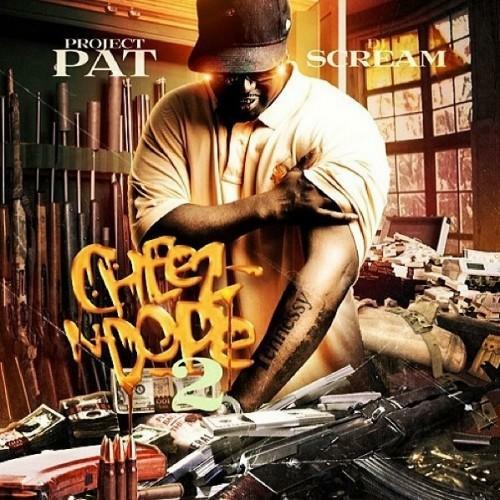 Project Pat nabs a verse from Wiz for his upcoming "Cheez N Dope 2." Give Chiefin a listen - it's a new offering from Project Pat, featuring Wiz Khalifa. It was dropped on Wednesday, August 28th, 2013. Project Pat's musical situation is improving with every new release, and Chiefin will most definitely help the cause. It's a fine addition to the growing body of work Project Pat has been developing since stepping foot in the game. We're looking forward to what Project Pat has in store. Hear more of Project Pat on Getting Cash (Prod. By Drumma Boy), featuring Juicy J . If you're down, make sure to visit Project Pat's profile page for the newest info, news, songs, and mixtapes. Follow Project Pat on Twitter, if you aren't already. How do y'all feel about this collabo? How does this compare to Project Pat's previous work?